Brisk and windy days of autumn call for tummy-filling, heart-warming and taste-satisfying soup. There’s nothing like a steaming bowl of homemade soup to warm you up on a cool fall day. The next time you’re craving a meal that’s comforting and delicious, make any of these 7 Favorite Easy Autumn Soup recipes. 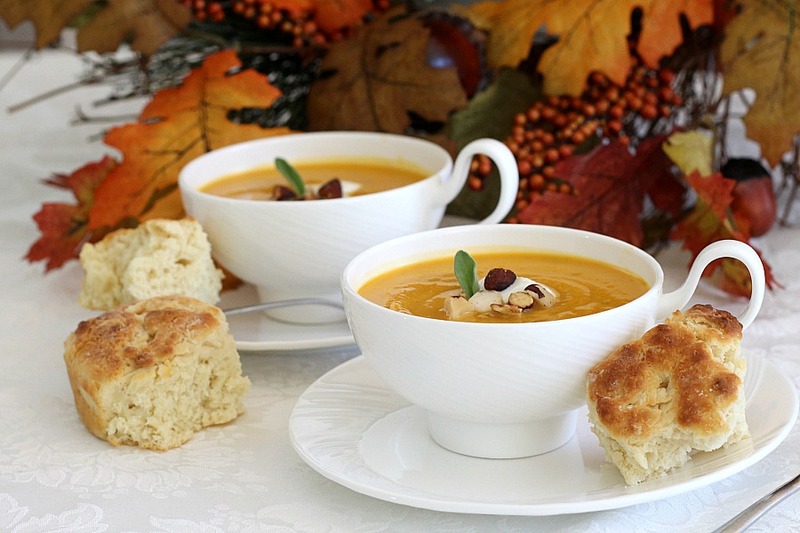 Thick, with a mild, slightly sweet taste AND is a lot lower in calories than other soups, Butternut Squash Soup is also a good source of vitamin A, vitamin C, potassium, dietary fiber and lots of other vitamins. A source of iron and beta carotene as well. 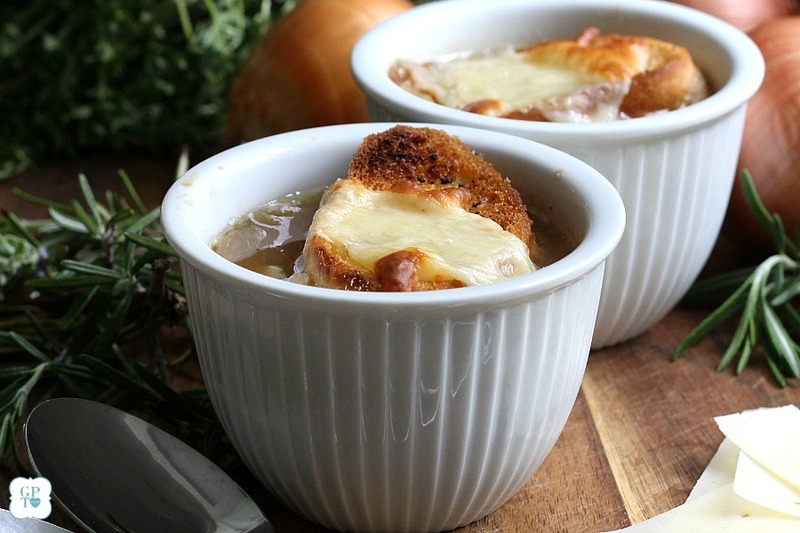 Who can resist a cup of French Onion Soup. Onions are simmered in butter, slow and long until sweet and caramelized then added to a rich beef broth. Topped with toasted croûtes and cheese and popped under the broiler until all crispy and bubbly. 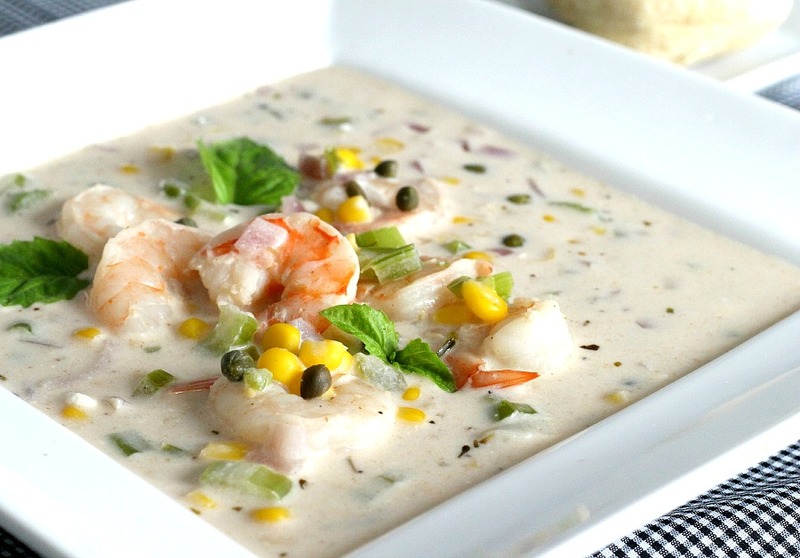 One of my all-time favorite soups, Shrimp Corn Chowder is loaded with veggies, seasonings, mascarpone (or cream cheese) and shrimp all in a lovely broth! On a recent visit to Charleston, South Carolina, we were introduced to this lovely city and its culture and heritage. I purchased some food items and soon after returning home, made a delicious Charleston Low Country Lentil Soup. I can see why it is considered a classic. 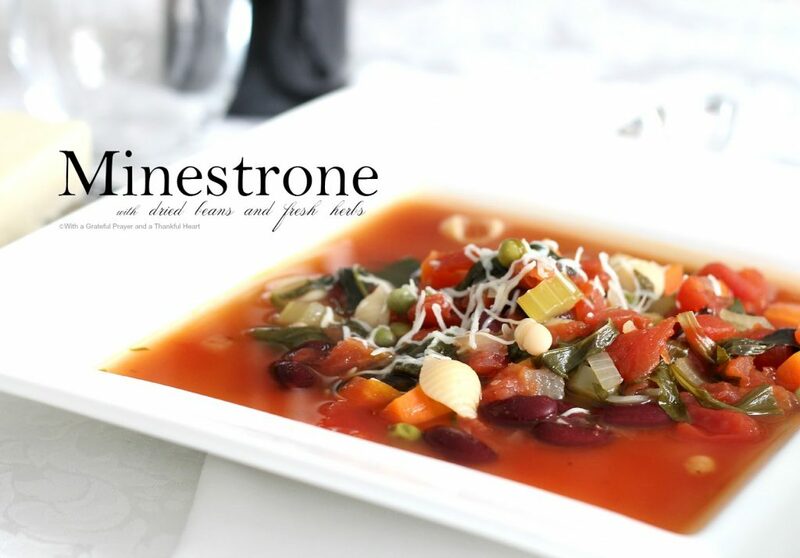 A wonderful hearty bowl of Minestrone is warming, filling and delicious! 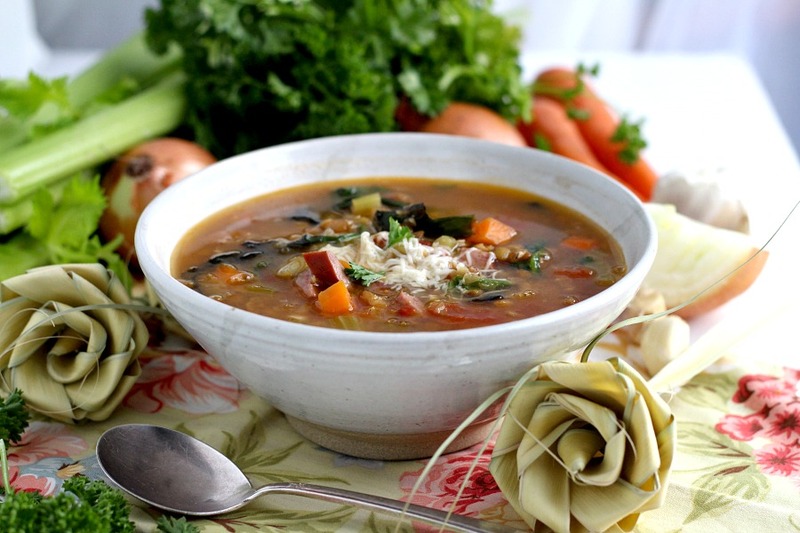 The great thing is that Minestrone is so versatile that you can use whatever you have on hand. Baked Sweet Potato Soup could not be easier. 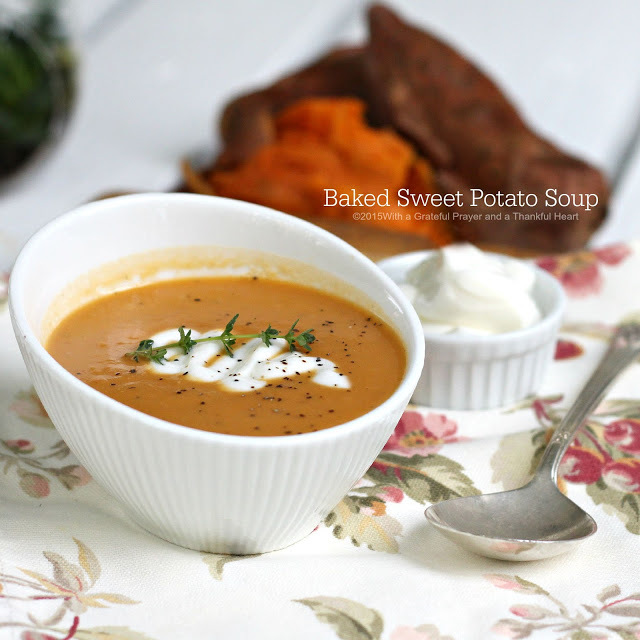 If you like sweet potatoes, you will love this soup. It is super easy and super yummy! 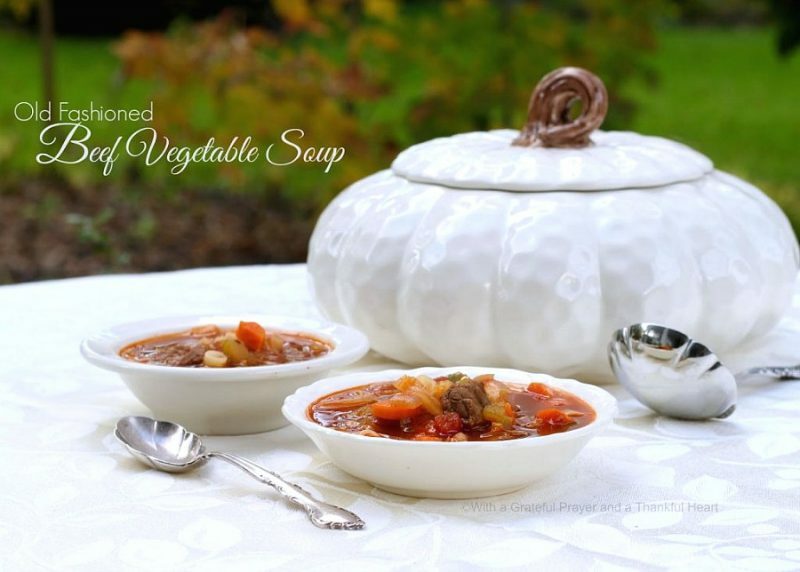 Loaded with all things good, like carrots, onions, celery, corn, green beans and chunks of tender beef with bites of pasta, Old Fashioned Vegetable Soup remains a favorite. Filling, meaty and perfect after a day enjoying of autumn colors. As the weather cools and the trees begin to change color, a bowl of soup is there to comfort, warm and ease us into a new season. 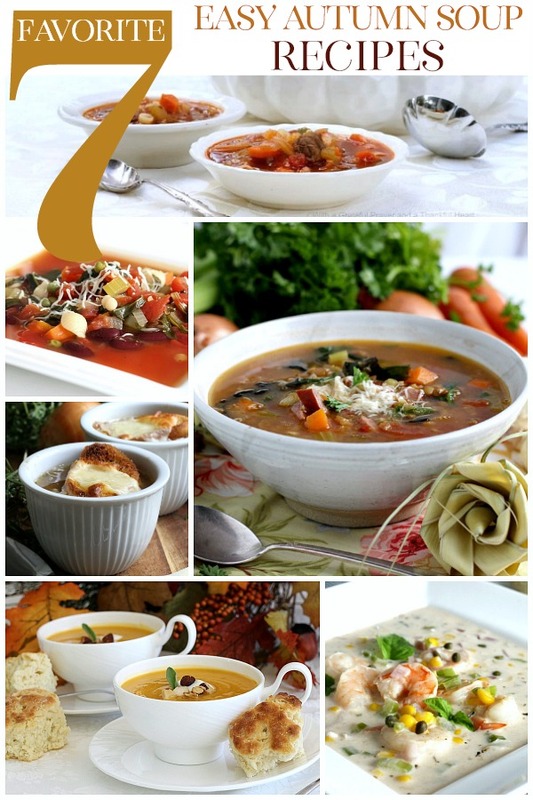 What a wonderful collection of soups! I love having soup in the cooler autumn and winter months! Yum. They all look good. With the cooler weather I’ve been craving soup. I think I would have to start with the vegetable soup. I’ve had butternut squash soup before and love it too.